A glitzy version of the classic Adilette sandal. 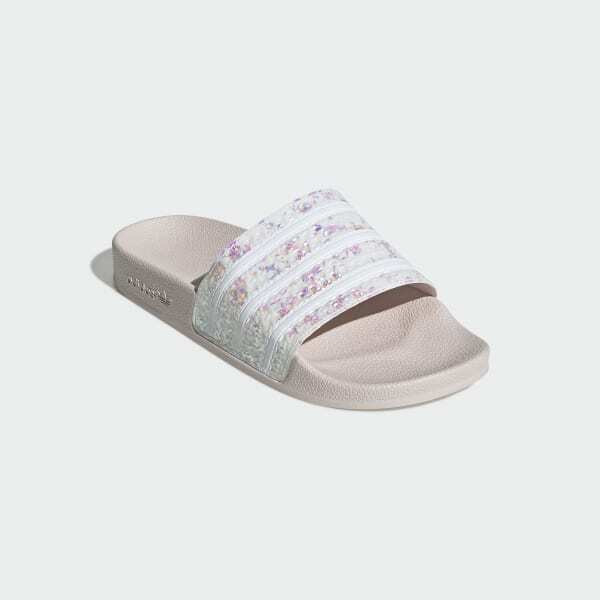 The Adilette slide was first introduced in 1972 and quickly became a casual staple. This version of the sandal puts a glam spin on the poolside classic. A shiny confetti foil upper with tonal 3-Stripes creates a flashy look. 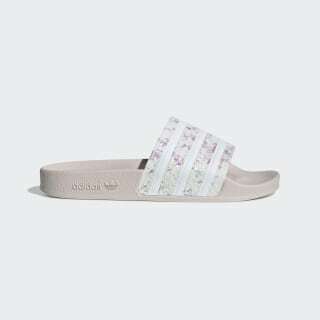 The contoured footbed gives them a comfortable feel.